Are you suffering from Didn’t-use-shipmycar-itis? 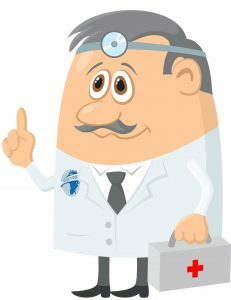 The ShipMyCar Doctor often has to deal with patients suffering from Didn’t-use-shipmycar-itis. We are always willing to help treat such cases but they can be time consuming and/or expensive to mend. The causes of this terrible condition are usually the same with the ShipMyCar doctor hearing: “but ShipMyCar seemed too expensive so I went with somebody else”. No UK car shipping agent own a fleet of lorries in the USA that will personally collect your car from anywhere in the USA for you and deliver to port. The USA is vast and this simply is not feasible. Many if not all UK agents use a central booking system to co-ordinate US collection, however some shippers pick the cheapest haulage firm and ignore the fact the are not properly insured to move your vehicle. If damage does occur, the UK shipping agent states they were only acting as an agent to book your transport, and you need to sort this out direct with the USA trucking firm. ShipMyCar says: we only use A* rated haulage firms to move your vehicle and ensure the company used has sufficient insurance in place. Should something go wrong, we make sure everything is put right. Some shipping companies use Roll-on-roll-off shipping to ship your car to the UK (this is basically like a big car ferry), they don’t often make it clear that this means they accept no liability at all for any theft of items or damage in transit. Not only that, but your car will be driven from their warehouse of export down to the quayside. If it is a nice car, it may not be driven carefully to say the very least. The ShipMyCar Doctor has even seen a case of a Corvette arriving to the UK having been shipped by RoRo only to have bald rear tyres and a burnt out clutch….. Many other UK shipping agents have very high insurance policy excess rates, some even a percentage of your vehicle value. Damage occurs and then you are stuck with a large bill for something that was not your fault. Some shippers and freight forwarders who do not specialise in car shipping are not fully aware of all the special rules and exemptions for clearing a car through customs, we hear regularly of people using household moving companies or general freight forwarders and missing out on vehicle import reduced rates of import taxes, sometimes costing them thousands of pounds unnecessarily. Another shipping company gives you a great quote but does not make it clear your vehicle will need to be tested and registered before it can be driven on UK roads. This may mean an MOT test, IVA test or both, and most likely will involve significant rewiring of your vehicles lighting system by a qualified specialist. The cost? A lot in some cases. This is something we see a lot of. People using cheaper conversions for the lighting systems causing expensive damage to sensitive ECU’s and even creating fire hazards by taping up bulbs and hiding them in the car to create the appropriate resistances, rather than doing things properly. ShipMyCar says: You only have to take a look at some of our work to know we are the best around, have a look at our Mustang IVA conversions for example – the car looks original with no horrible bolt-on lights and original light clusters. All safely controlled using our custom light control modules. ShipMyCar says: We are experts at V55 import applications. We do not get these forms wrong and always ensure they are 100% complete before processing the application. We also have an account manager at the DVLA who ensures a timely turnaround. So there you have it. 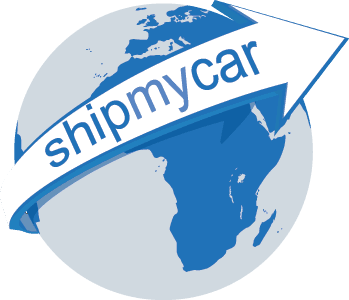 Not using ShipMyCar for your vehicle shipping requirements may look like you are going to save some money, but this is purely because our car shipping quotes are the most comprehensive in the industry and we only employ the best sub-contractors and staff to ship your car.